7. 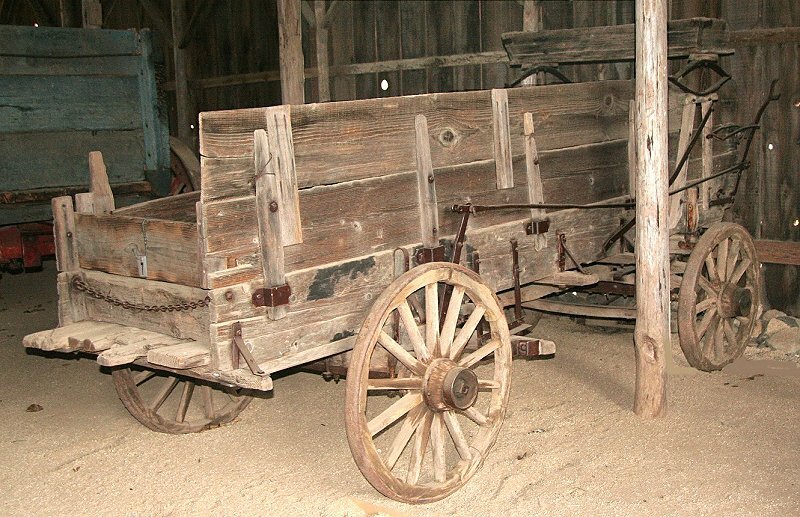 Three Board Farm or Midsize Freight Wagon - 1850’s onward. 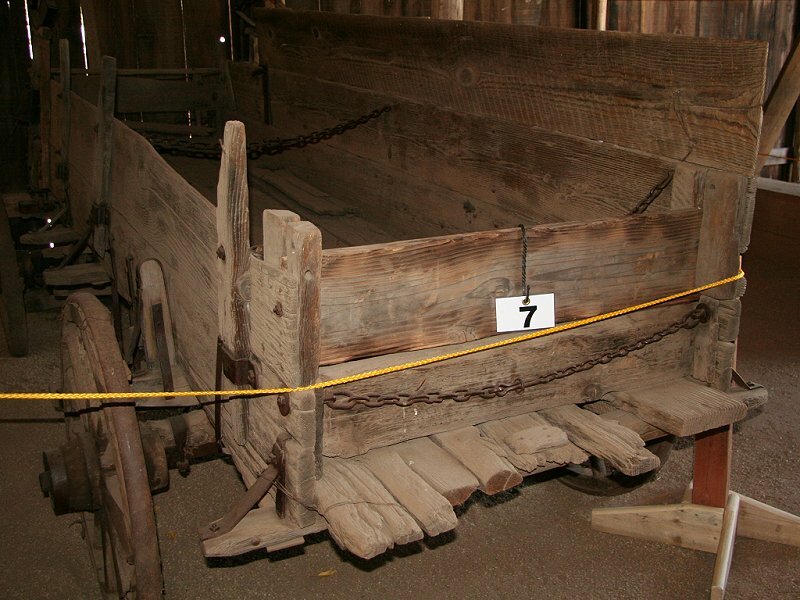 Pulled by 2 to 6 horses, depending on the load and route. 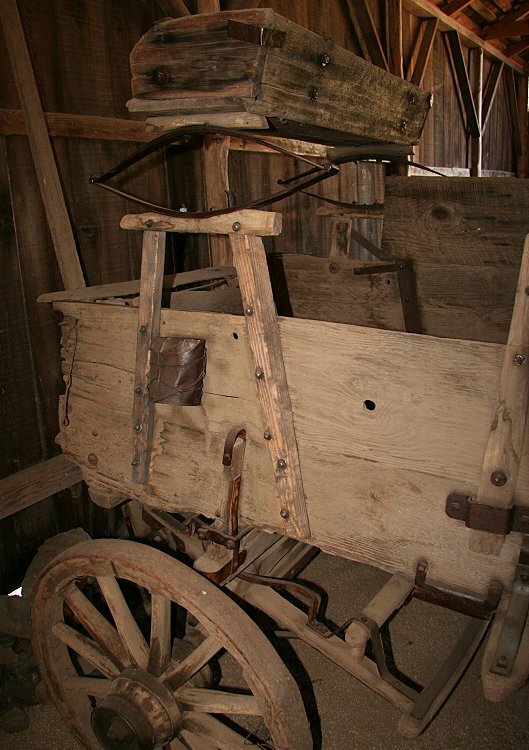 Owned by Joseph Wood, a teamster who lived in the nearby town of Oregon House. Donated to California State Parks in 1965 by his daughter upon his death. 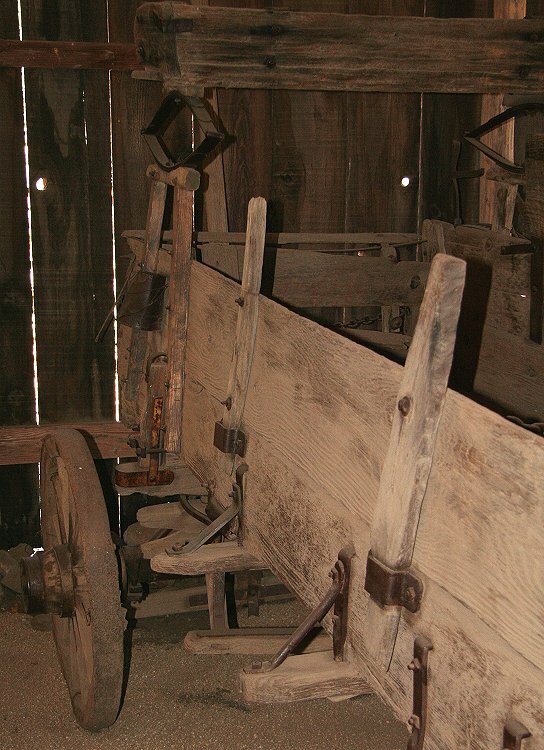 Note staked sides, allowing boards to be added or removed as required by the load. Also note chains linking the sides together for support in addition to the outrigger braces on either side. The small can hanging on the left side of the driver’s seat (in view in later photos) was for lubrication grease. Rear again; good view of three-board side. This view best shows the outrigger bracing of the side boards. The grease can is tied onto the top side board with baling wire. Baling wire holds other parts of this wagon together, like modern duct tape! Note the complex front undercarriage, here and in next photo. The structure with an upper and a lower circumferential rail fixed to the front axle structure, allows turning with solid support. 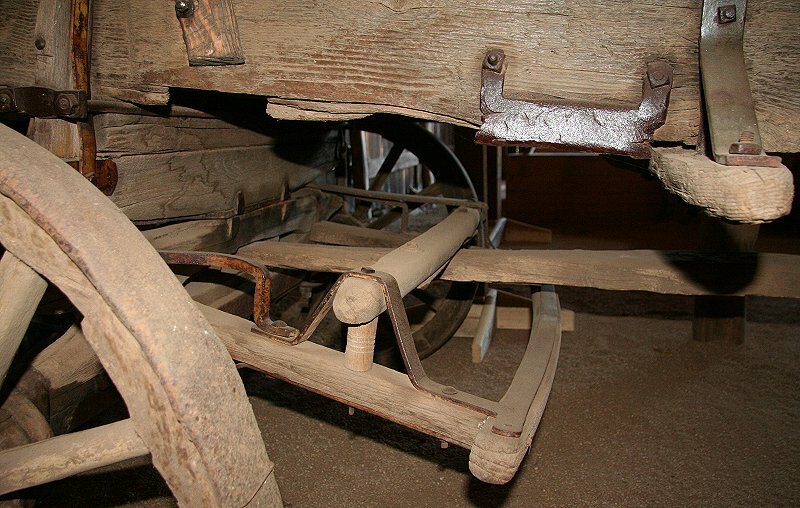 Both rails slide on the axial beam, which is part of the carriage bed, as the wheel axis turns. The upper rail prevents the axle structure from tipping backward, and the lower rail prevents it from tipping forward. There is enough vertical distance between them to give some play to prevent binding on the carriage beam.